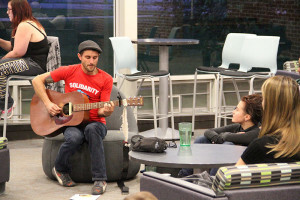 On April 28 in Ensor lounge, students gathered to hear a performance by Ryan Harvey, a musician from Baltimore whose main focus is protest music. This was the second performance he gave on McDaniel’s campus, including one given almost a decade ago. A circle of couches and chairs was organized to provide all students with optimal view of the performance. Harvey sat on one end of the circle to give an unplugged acoustic show. He combined his music with stories of his own travels and explanations of the real life contexts of his songs. All of the music was done by one singer and one guitar. Stylistically, it reflected folk and acoustic punk, driven by powerful lyrics that sought to inform the students and inspire action. 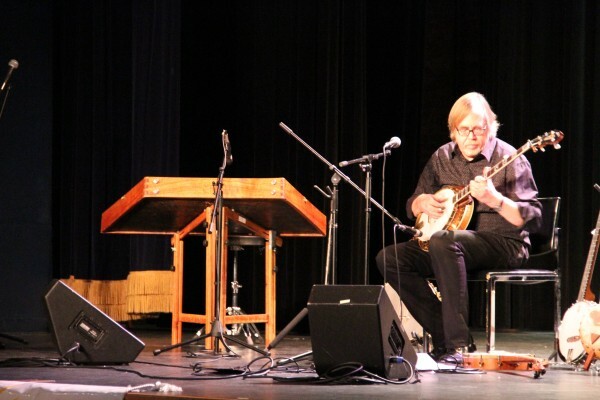 The heritage of political folk music is a long one, and influences like Woody Guthrie, Pete Seeger, Bob Dylan, and countless other artists who have followed in that tradition could be recognized throughout his set. “My main goal is to inform my audience and provide them with a perspective on these issues many people face around the world,” said Harvey. 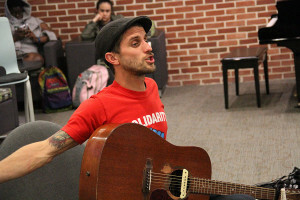 Some highlights of the set included, “Light in the Morning,” a song calling protesters to take action against domestic injustice, “You can Smell it in the Air,” a song that described the connections international revolutionaries had through their common experiences with tear gas, and a reinterpretation of Woody Guthrie’s “Mean Talkin” that focused on issues involved in foreign policy debates. 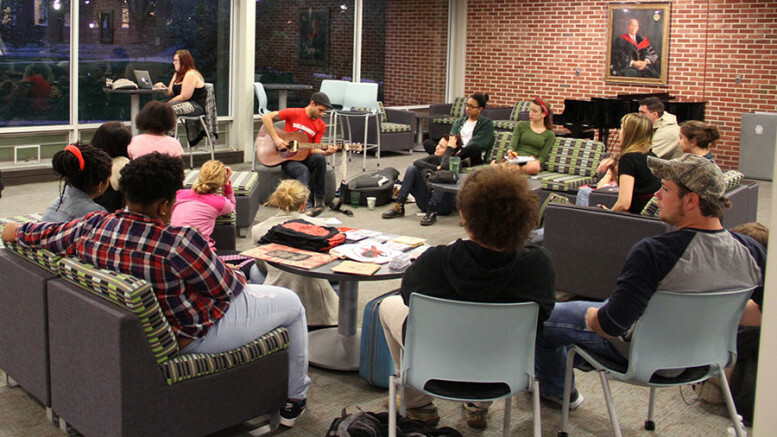 The event was hosted by the Progressive Student Union (PSU) and was cosponsored by McDaniel’s Radio Station. “Ryan got me into radical politics, and I wanted others to appreciate the role art plays in social movements” said Caroline Unger, who was one of the primary organizers of the event. One of the goals the PSU had for the performance was that it would encourage larger activism and a higher awareness of global issues. Ryan Harvey also works with Tom Morello (Rage Against the Machine, Audioslave, the Nightwatchman), another profoundly political songwriter, on a record label called Firebrand Records. Firebrand Records shares goals similar to Harvey’s, and is dedicated to helping promote and distribute political and protest artists. 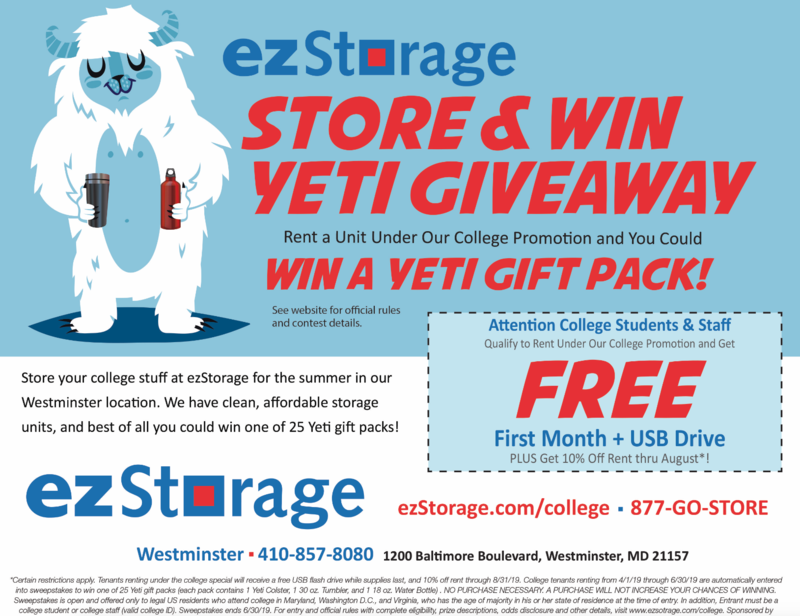 He said he hoped that this performance would help to promote the label, and students who are interested in hearing his music, as well as music by many other artists and spanning multiple genres, can find it through Firebrandrecords.com.